Sesame Street Live Detroit Tickets Contest 2019 – enter to win tickets to see Sesame Street Live “Make Your Magic” at the Fox Theatre in Detroit. Sesame Street Live “Make Your Magic” will be performing at the Fox Theatre from January 24, 2019 through February 2, 2019 with 16 performances! For the 11th year in a row, Oakland County Moms is giving away ticket vouchers to Sesame Street Live with help from our friends at 313 Presents! NOTE – Please note that the tour is providing vouchers for this show. Vouchers are exchangeable for hard tickets while supplies last. These vouchers are NOT tickets and must be redeemed at the venue box office for tickets. You may redeem these tickets up until show time, but we highly recommend early redemption, as seats for a specific performance are not guaranteed if that performance is sold out. If you are conducting a giveaway, you are responsible for getting the vouchers to your giveaway winners. e-mail me at lisa@oaklandcountymoms.com. Put MAGIC GROVER in the subject line and don’t forget to include ALL of your contact info (name/e-mail/phone #). Please let me know if you’ve completed steps 1-3. I’ll accept entries until January 17, 2019 and draw/notify winners on January 18, 2019. The winner will each receive 4 VOUCHERS to see Sesame Street Live in Detroit for their 2019 show run (see below for dates and times). Vouchers may be exchanged for tickets for select shows. Each ticket voucher is good for one (premium seating not included) to any performance. Any child who has celebrated their first birthday must have a ticket to be admitted to the show. Vouchers may be redeemed at the box office. Please read the vouchers carefully and keep them in a safe place until redemption. Vouchers are exchangeable for hard tickets while supplies last. Please redeem the vouchers early, as you are not guaranteed a seat to a specific performance if that performance is sold out. If there are any questions about availability or box office hours, please contact the box office directly at 313-471-6611. The winner’s tickets will be mailed to their residence in plenty of time to exchange their vouchers for tickets for the show. For more info, please visit www.sesamestreetlive.com. Tickets (starting at $15) are on sale now and can be purchased at 313Presents.com, The Fox Theatre and Little Caesars Arena XFINITY box offices and Ticketmaster.com. To charge tickets by phone, call 800-745-3000. For additional information, call 313-471-6611. For group rates and information, reach out to Group sales at 313-471-3099. 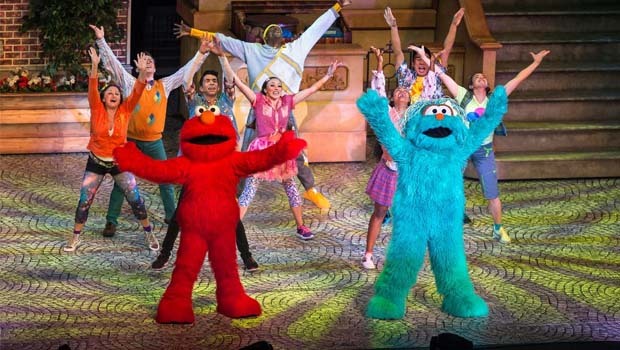 This Sesame Street Live Detroit Tickets contest is brought to you by 313 Presents. Alreadyy subscribed and liked. Sent email! Thanks! Did all and sent email.